Imagine this, enjoying a delicious meal with a gorgeous glass of wine in the middle of the ocean. 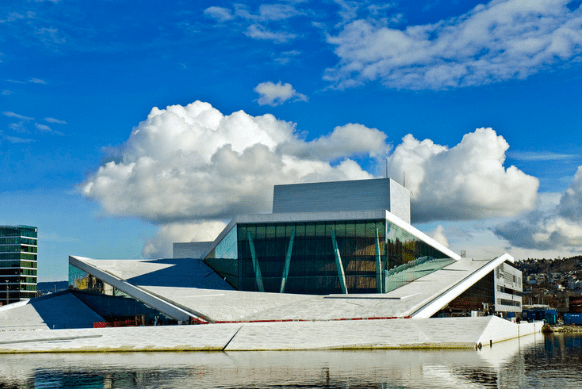 Sounds like something out of a James Bond movie, right? 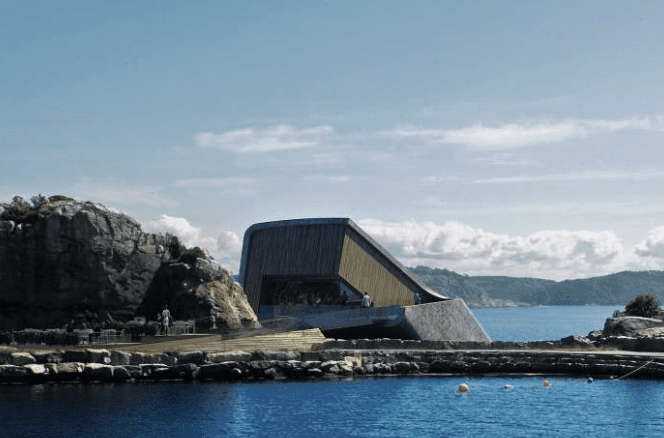 Well, in Norway you can now experience the largest underwater restaurant in the world, perfectly named, Under. The restaurant began on a barge, where they constructed the first section over the course of six months. In July 2018, the work was completed, and it stretched around 110 feet in length. It was then submerged into the water by using 18 anchor points. 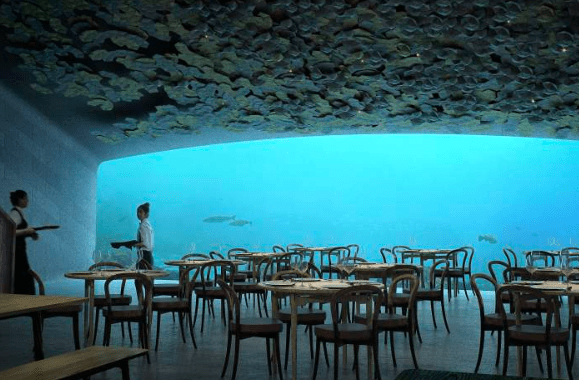 Amazingly, over half of the restaurant is resting under the surface of the water and has three separate floors with complete underwater views due to its 11-meter panoramic window. The space will never get too crowded with a limit of no more than 100 people allowed in the restaurant at one time, enabling the guests to enjoy the sensational marine life and relaxing dining experience. Opening in spring 2019, as you enter the building, a large glass walkway leads you into the restaurant. Keep your eyes peeled for information for Under’s grand opening.